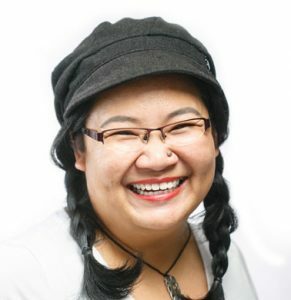 Seriously folks, how adorable can you get? 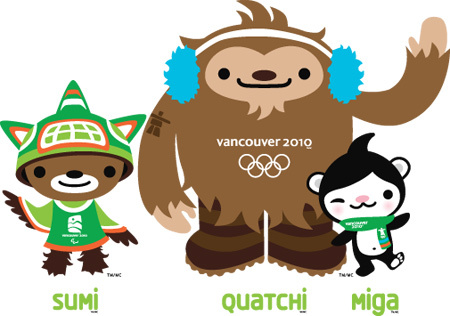 The Vancouver 2010 Olympic and Paralympic mascots are three whimsical beasties – Sumi the Thunderbird, Quatchi the Sasquatch, and Miga the Sea Bear. I couldn’t stop giggling for a full minute. Especially at the sasquatch with the blue earmuffs and the tattoo on his arm. That’s one damn big hairy kuaci.